This time of year is a busy season for yo-yo shows and I’ve been very fortunate to really take advantage of it this year. In fact, I’ve been performing so much lately that I’ve reblistered both of my middle fingers. This is the first time in 5 years I’ve gotten blisters on my well calloused fingers. 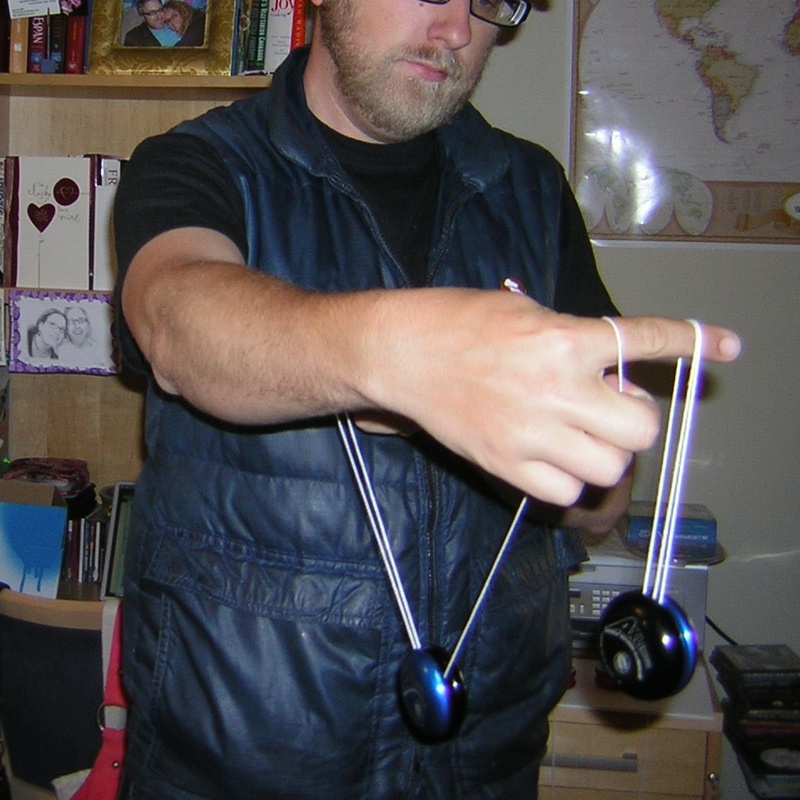 With my recent performances, I’ve decided to amp up my two handed yo-yo skills. I started with some modified Raiders, but got bored and decided to dig up all my old Double A yos to practice with. In honor of this recent loop-mania, I’ve decided to focus on looping yo-yos throughout the week.